Nearly one day after, this theme turned out to be very fun to develop. Can’t wait to reveal more of it, like the really clever name we came up for it! 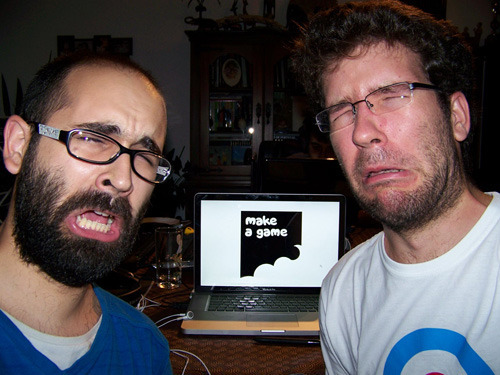 Make A Game is in! 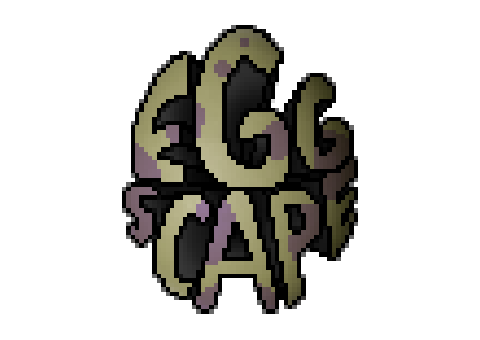 With all the art done, we turned our attention to the team’s logo while the programmers keep churning out code. We are near completion of what we can do with our 72 + 4 hour time limit. Setbacks in the second day kept us from having the game done within the original schedule but we are really proud of our overall progress. Some stuff won’t make it to our submission build, but we’re keen on finishing this amazing project. You can check out our Day 2 recap at http://makeaga.me. We won’t be doing a Day 3 post or Post Mortem for a couple of days. 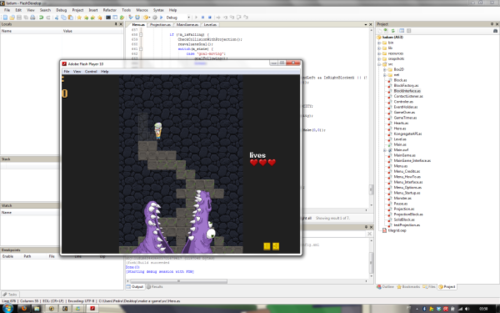 WATCH OUT, IT’S A CODERS’ BLOCK! IT’S NOT STEALING! IT BELONGS IN A MUSEUM! “Oh, I didn’t see you there, crushing my path for survival and my dreams of becoming a famous paleontologist. 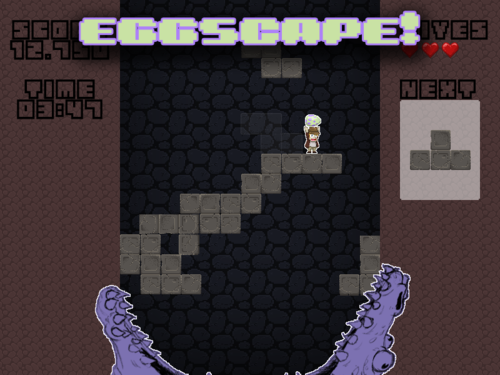 We’re Make A Game and Eggscape is our entry for Ludum Dare 21’s Jam. You can read our Day One Update at http://makeaga.me! Onward to Day 2! It starts right now!